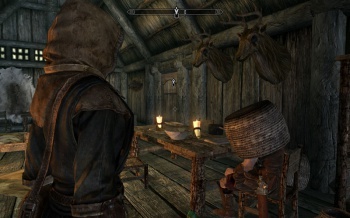 Everyone and their mum is weighing in on Skyrim's lag issues. Now David Jaffe, the notoriously foulmouthed developer behind Twisted Metal is offering his, rather measured, opinion. "Do we [as game developers] have a duty to ship a game that's bug-free within reason? 100 per cent yes," said the Twisted Metal developer, when asked about Skyrim's numerous bugs in an interview with Eurogamer. "The problem is that definition of 'within reason' is a moving target depending on who you ask," he continued. "The first games I worked on were one-shot deals on SNES cartridges. When you were done you were done. And so yeah, I certainly come up from a school that doesn't want to ship buggy games." He's got a point there. Ever since it became possible to patch console titles, it's become increasingly common for console developers to push out buggy, unfinished games; safe in the knowledge that they can be patched post-release. "But there are always bugs in games," he continued. "You'd mention the Skyrim bug, which I've not encountered yet. If you're talking about that kind of thing where the game gets really laggy to the point where it's unplayable, yeah, I would say that if we found a bug in our game that had that kind of an issue we would certainly do our best to make sure we didn't ship with it." He ended with a pleasant, possibly even warm-hearted note of solidarity. "Every game is a battle for the developers, and I don't know the war stories of Skyrim so I'm in no position to judge good or bad about why they did what they did," he said. "I know they've made one of the best games of the year, if not the best." Skyrim remains popular, even in the face of several potentially game-breaking bugs. Our own Susan Arendt discusses bugs, and why we tolerate them in some games and not others, here.